Teen Art Gallery was born in 2010, NY, by the hands of Audrey Banks, with her goal of providing teenagers a place where they could display their art. Her efforts made T.A.G a very successful project. Today it not only holds the works of New York artists, it has expanded all over the US, and even internationally. 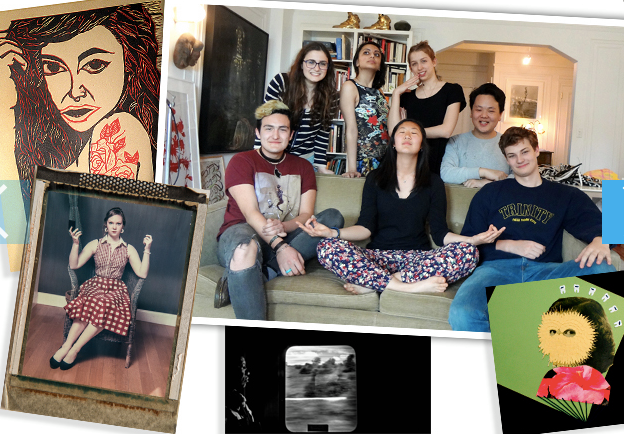 T.A.G has made it possible for teenagers to enter the art world. It may be intimating form many teenagers to enter an industry where there are limitations to young people no matter their maturity or talent. T.A.G’s goal is to eliminate these limitations by offering an open door to young artists, giving them an opportunity to display their work by submission. Natalie Berger from Portland, Oregon. and me, from the Dominican Republic. My job will be to help Teen Art Gallery grow. I will be locating local teen artists, schools and art programs to motivate art students to submit their work. Teen Art Gallery nació en el 2010, en Nueva York, por las manos de Audrey Banks, con el objetivo de proporcionar a los adolescentes un lugar donde pudieran mostrar su arte. Sus esfuerzos hicieron T.A.G un proyecto muy exitoso. Hoy en día no sólo se se muestran las obras de artistas de Nueva York, la organización se ha expandido por todo los EE.UU., e incluso internacionalmente. T.A.G ha hecho posible que los adolescentes puedan entrar en el mundo del arte. Puede ser intimidan para los adolescentes entrar a una industria donde hay limitaciones a los jóvenes sin importar su madurez o talento. El objetivo de T.A.G es eliminar estas limitaciones, ofreciendo una puerta abierta a artistas jóvenes, dándoles la oportunidad de mostrar su trabajo por aplicación. Natalie Berger de Portland, Oregon. y yo, de la República Dominicana.